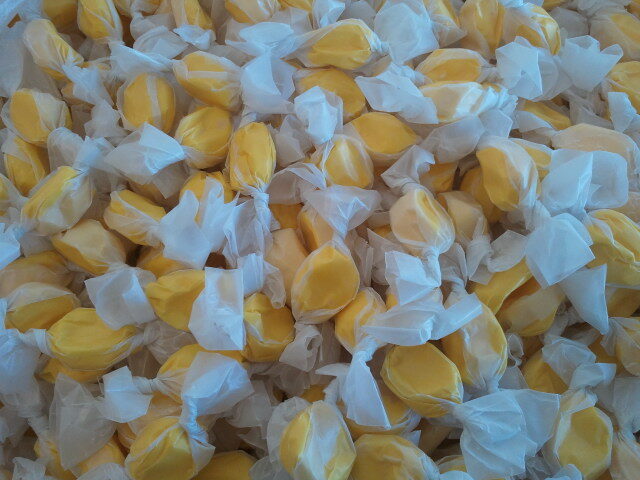 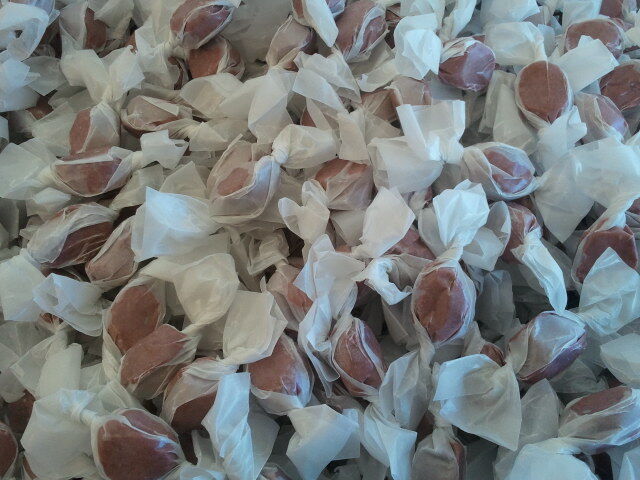 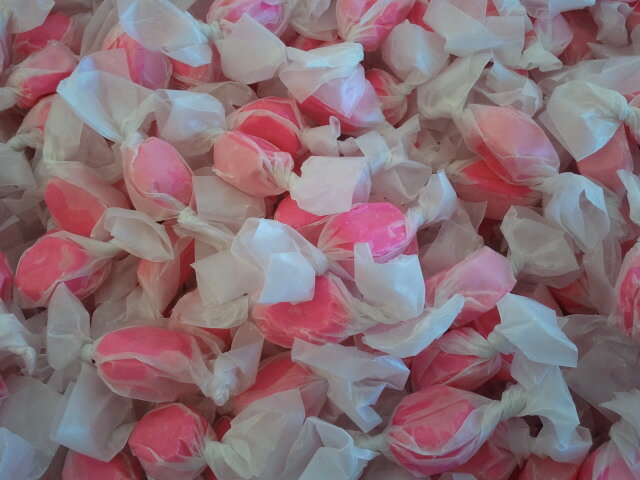 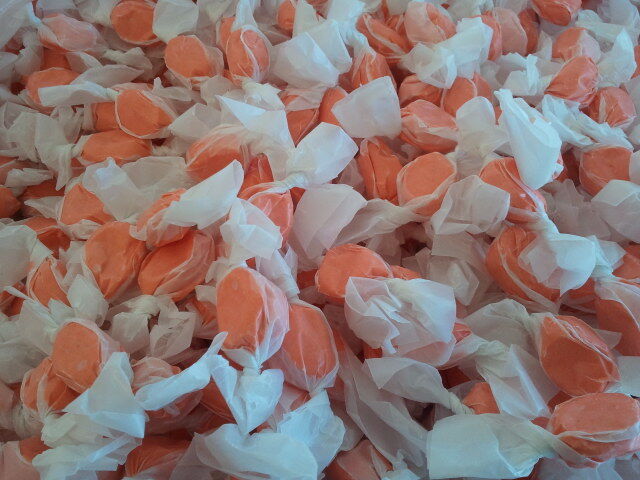 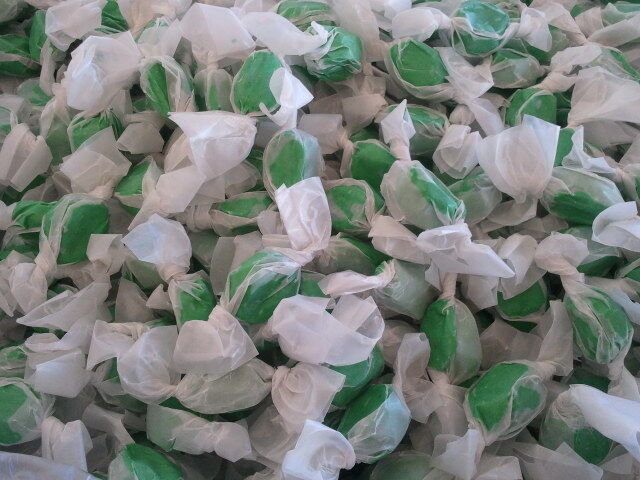 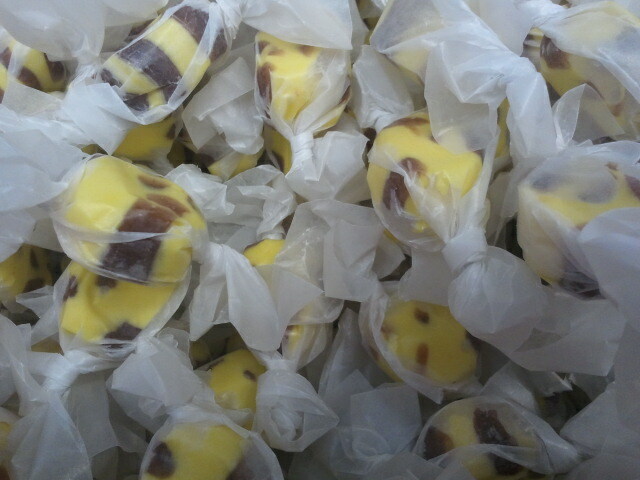 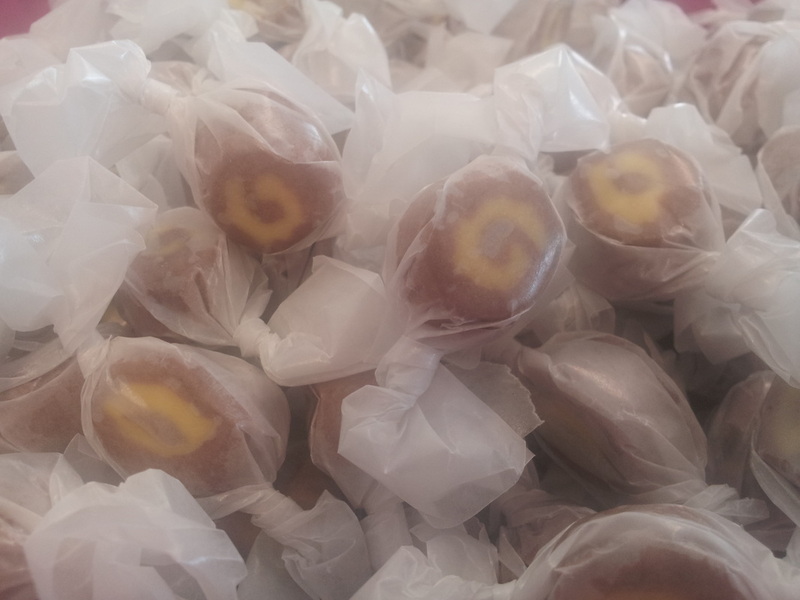 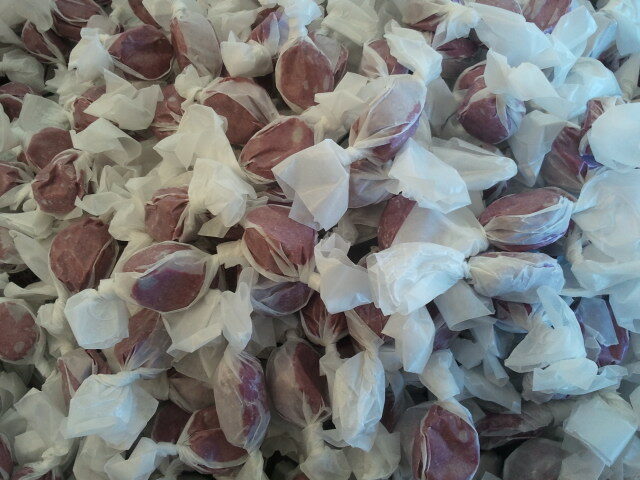 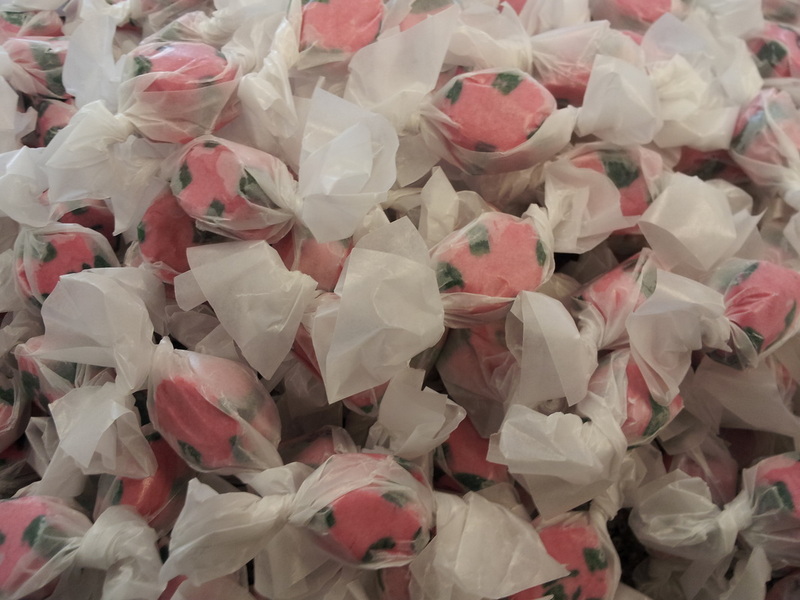 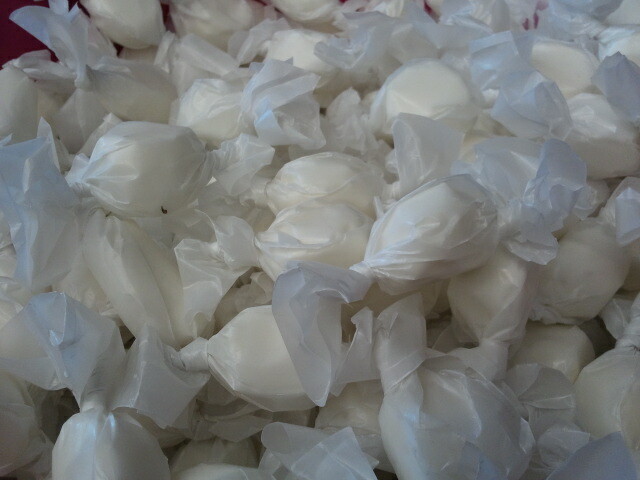 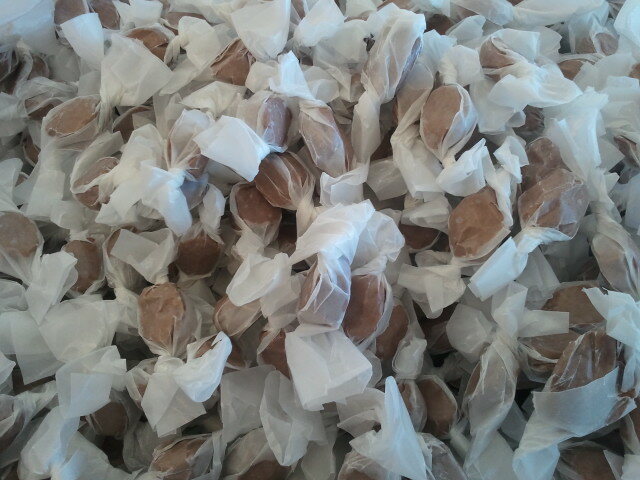 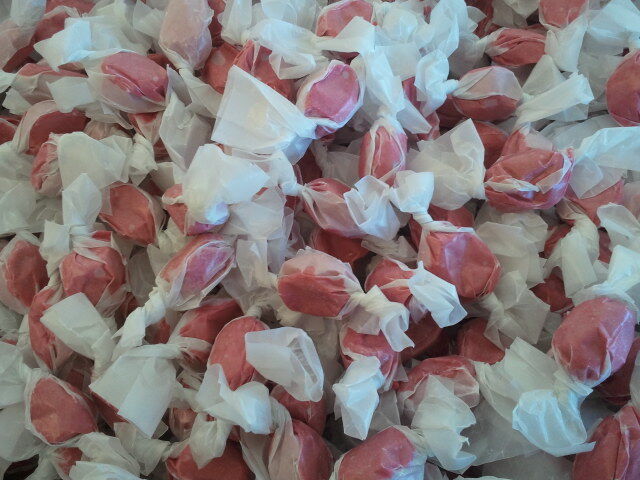 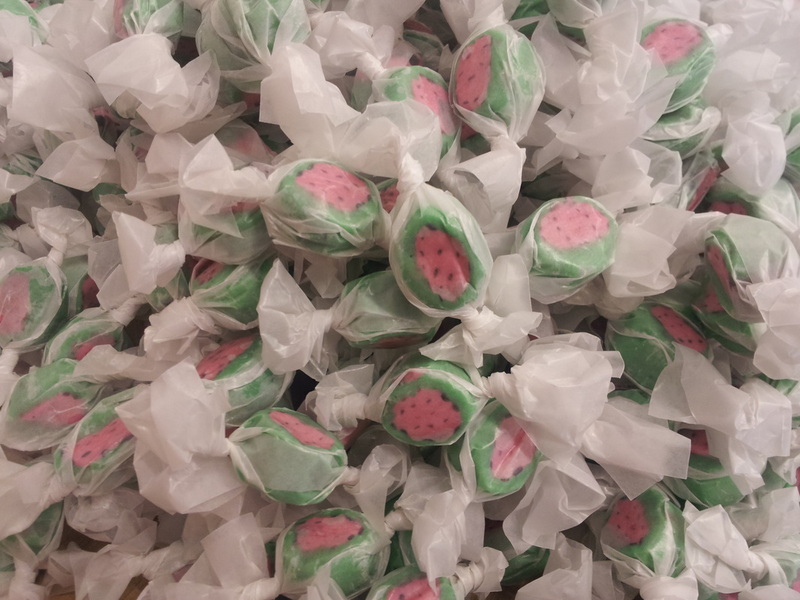 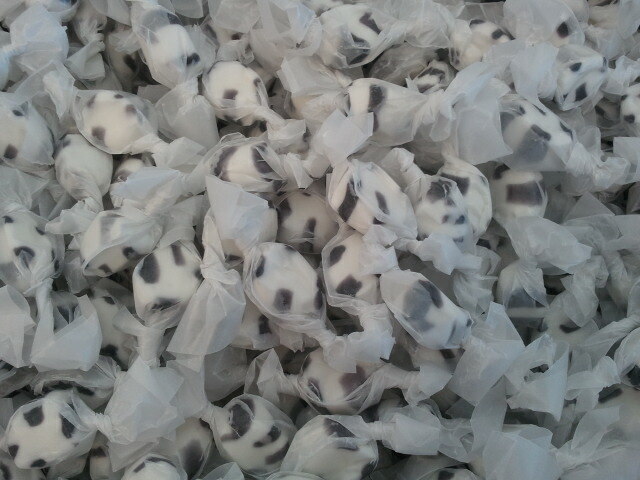 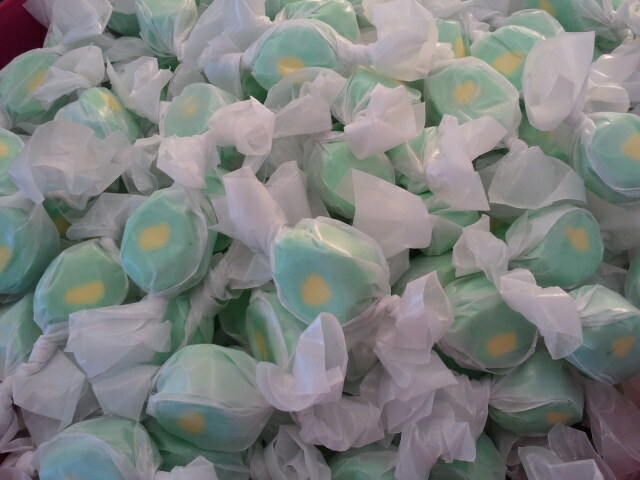 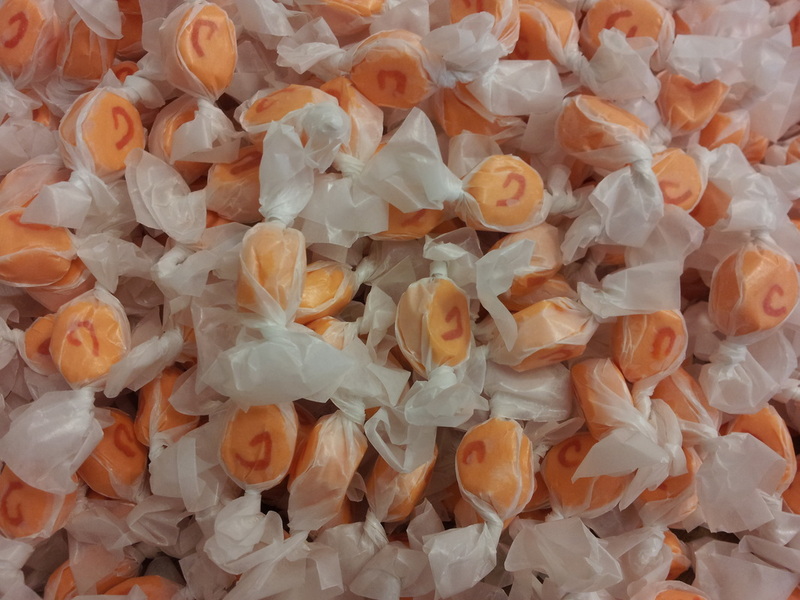 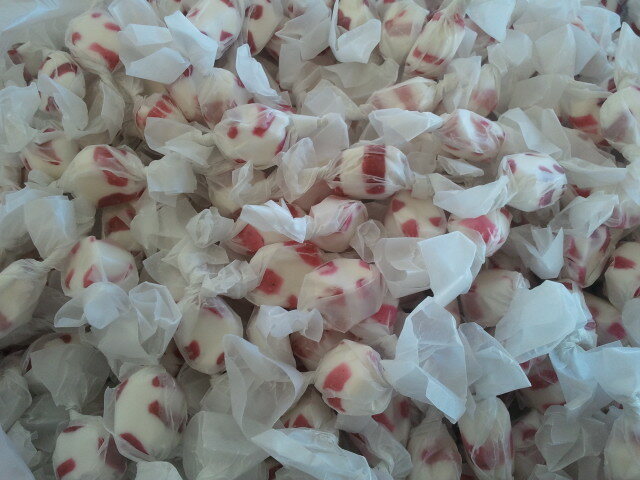 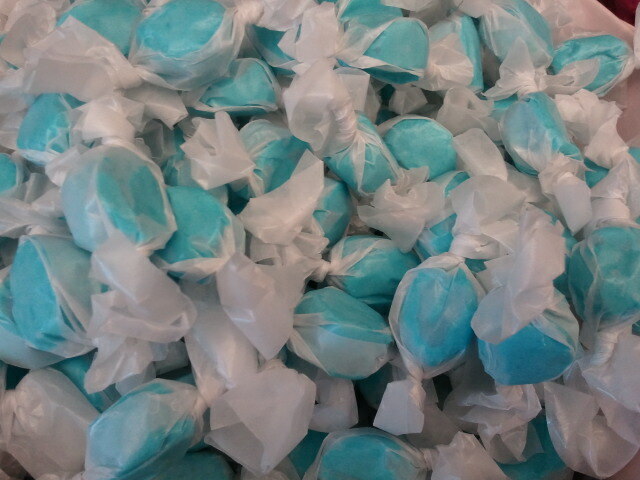 Our taffy is made from scratch and comes straight from our copper cauldrons. 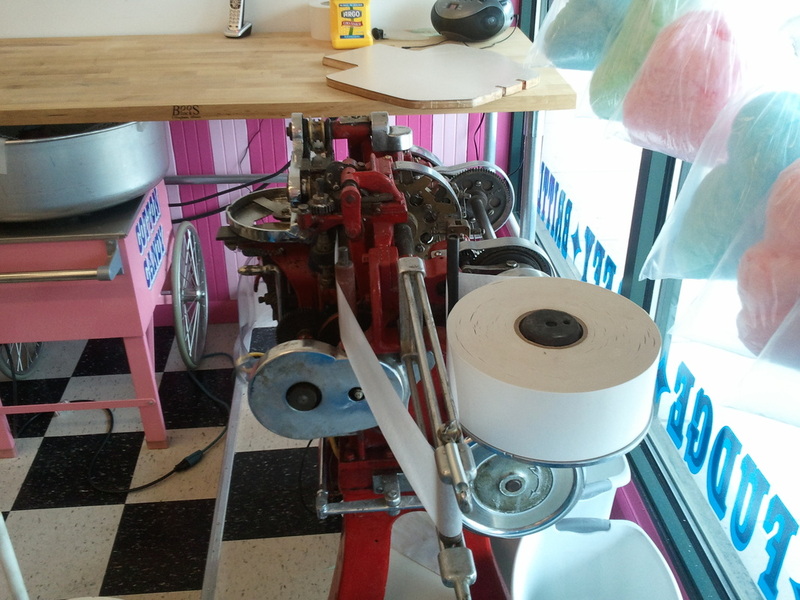 We pull it to perfection and then wrap it on our 1917 Model K "kiss" wrapping machines. 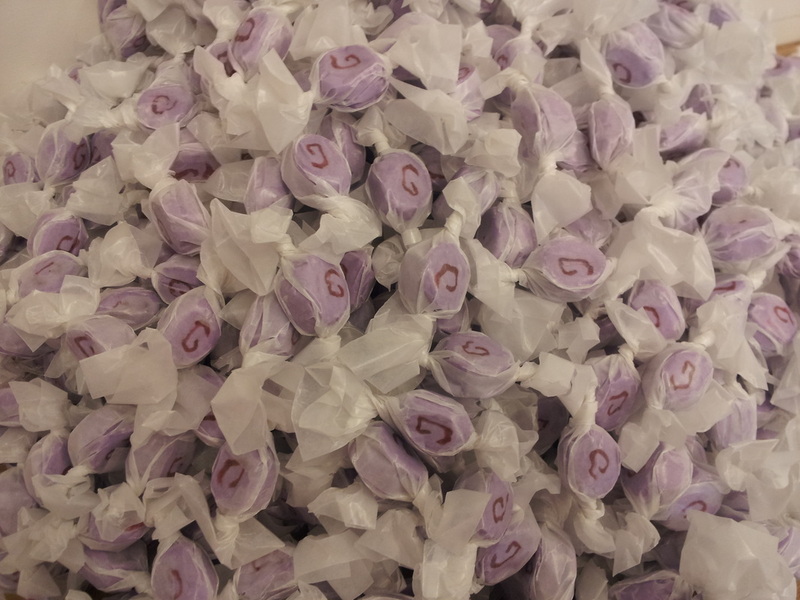 1906 Model K kiss wrapper. 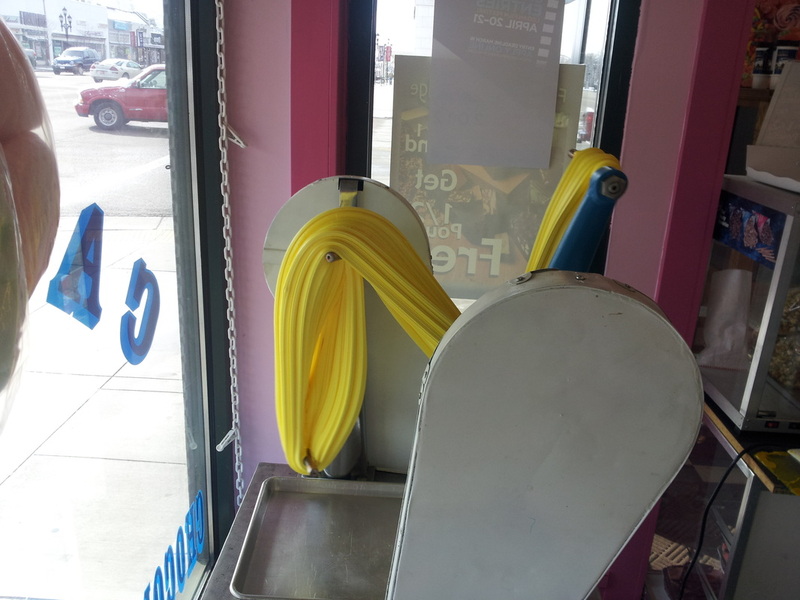 This is one of the first four prototypes ever built!